I love going out for meals. It inspires me to recreate what we have ordered. Getting new ideas for meals is at times very difficult. That could be for many different reasons. Being busy and not having time is usually on the top of everyone’s list. Or it can be as simple as just not feeling like making a meal. Everyone has those days. I like to cook simple meals. Something that doesn’t take up too much time but looks like you spent all day in the kitchen. I have no need to cook large involved meals anymore. There’s just the two of us at home. My husband is just as happy with a hot dog as he is a steak. Though to be honest, he prefers the hot dog. There is another meal that is a go to for him, eggs. Any kind, scrambled, fried, poached, soft boiled, hard boiled, you name it. On toast, under toast, beside toast, bread dipped in the eggs, eggs with veggies, eggs with bacon or sausages, eggs with fruit, eggs with cheese and of course eggs with potatoes. He is never disappointed with that kind of a meal. So when we went out for lunch one day, he ordered a frittata. I just looked at that plate and the bells and whistles started to go off. We use to have eggs quite often for supper years ago so I said to him, we are going to have a frittata for supper in the next couple of days. Simple yet very satisfying. He was elated. His kind of meal. Hence, this recipe. The only difficult part is trying to decide what to put in it. 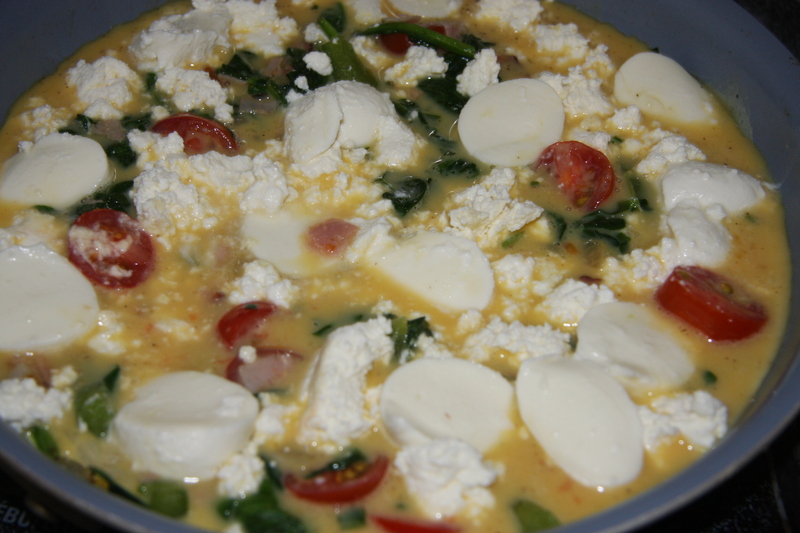 Open up your fridge and see what you have on hand and that’s the kind of frittata you will be having. It can be as simple as you want or as loaded with up items as the local grocery store. Just don’t stress out about it, make one and pat yourself on the back for a meal well done. 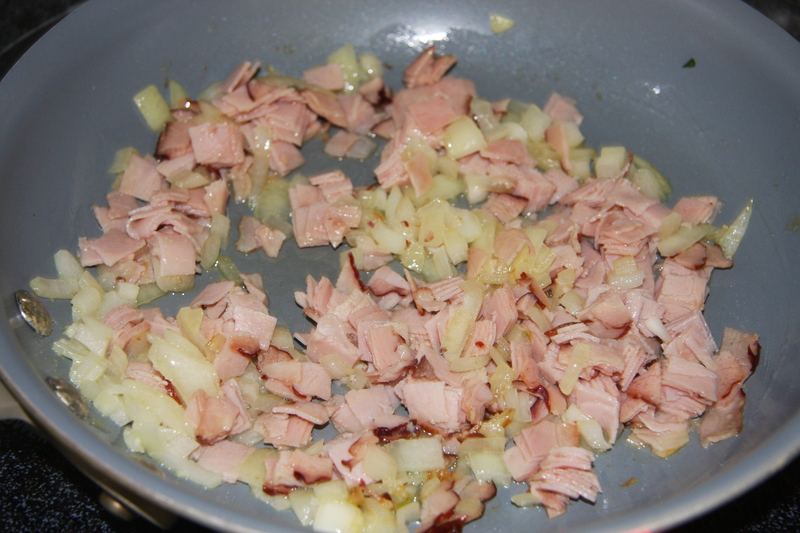 Into a heated fry pan add 1 chopped onion and 6 slices of chopped black forest ham. 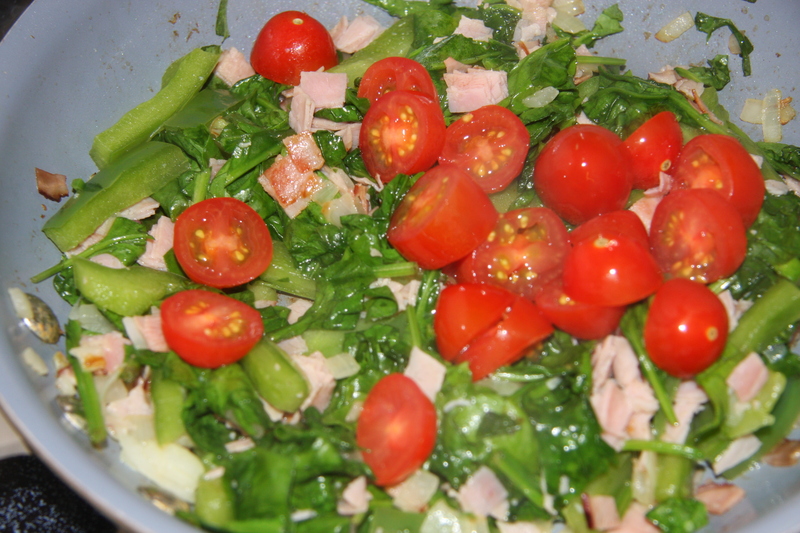 Next add 1 cup of cherry tomatoes, cut in half. Just enough to heat them part way through. 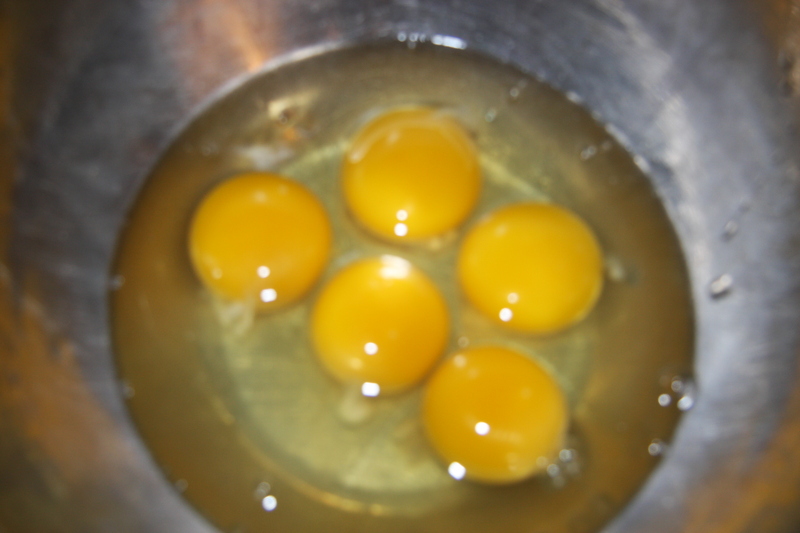 Into a bowl add 5-6 eggs. Whisk them and add 1 cup of milk. 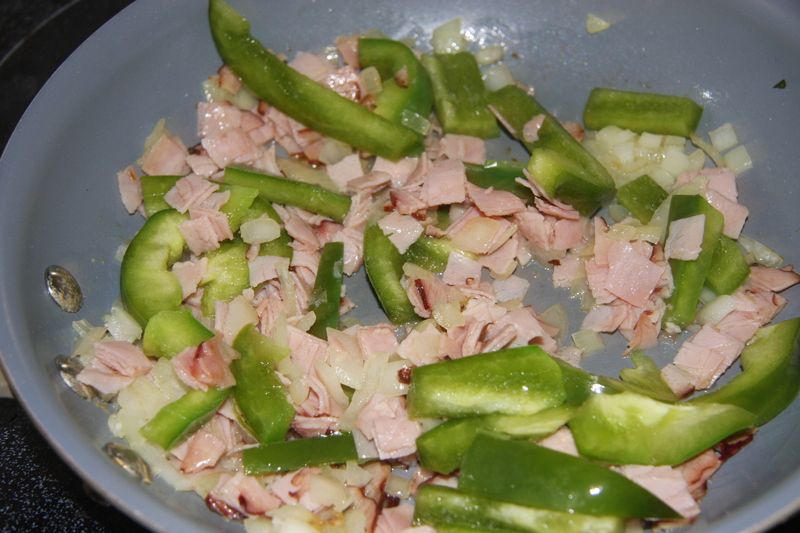 Combine all ingredients along with a pinch of salt and pepper. 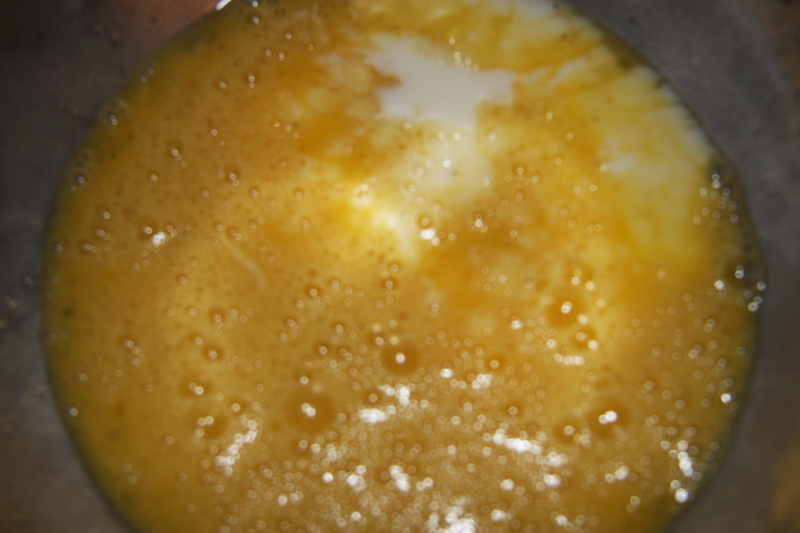 Pour the egg mixture into the fry pan. Next adding 1 cup of ricotta and 1 cup sliced bocconcini. 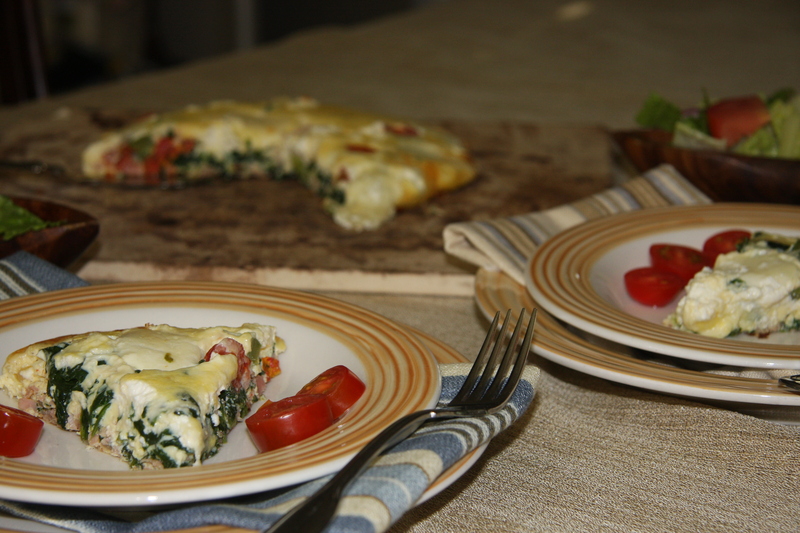 You can even sprinkle a couple of handfuls of grated mozzarella cheese on top. Cook until the bottom starts to firm up and when you can see it starting to cook part way through the frittata, place it in a preheated 350 degree oven. It should be nice and firm and a bit golden on top when done. Remove from the oven, let it rest for about 5 minutes. 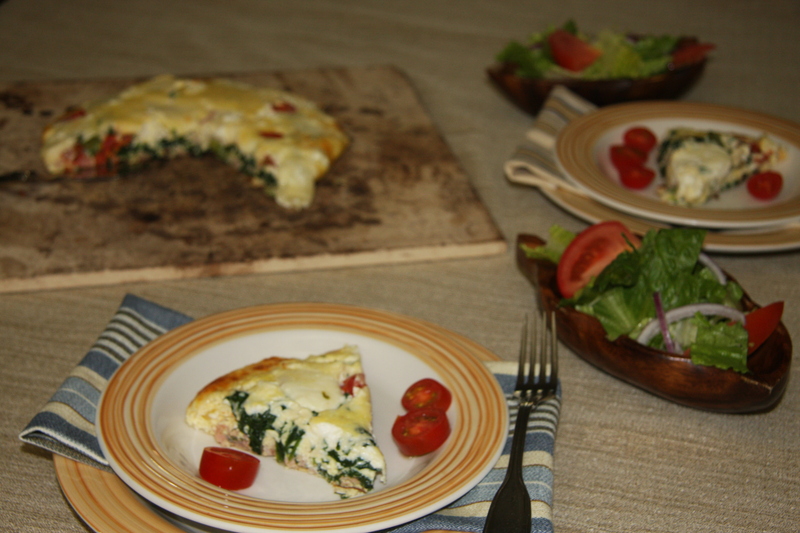 Loosen the edges and maybe a bit on the bottom, place a plate over top of the frittata and invert onto the plate. 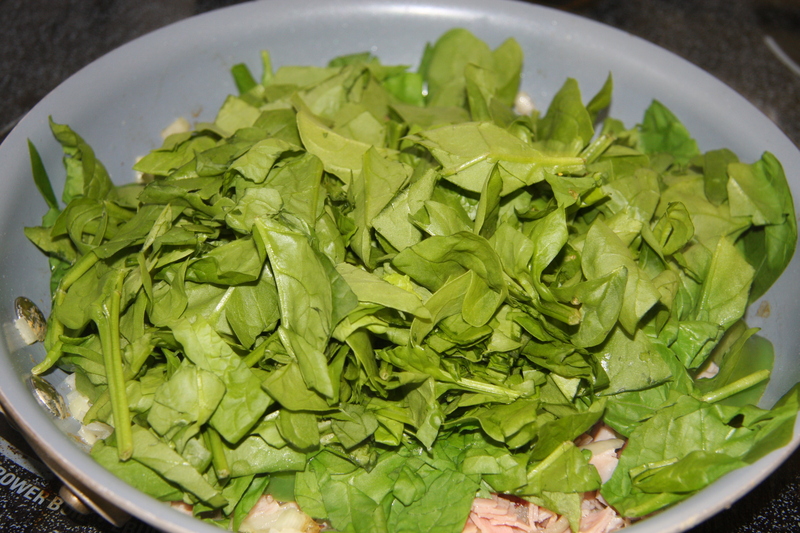 Cut and serve with a salad. Preheat fry pan with 1 tablespoon butter. Adding onion, frying until translucent . Next add all the veggies until heated part way through. 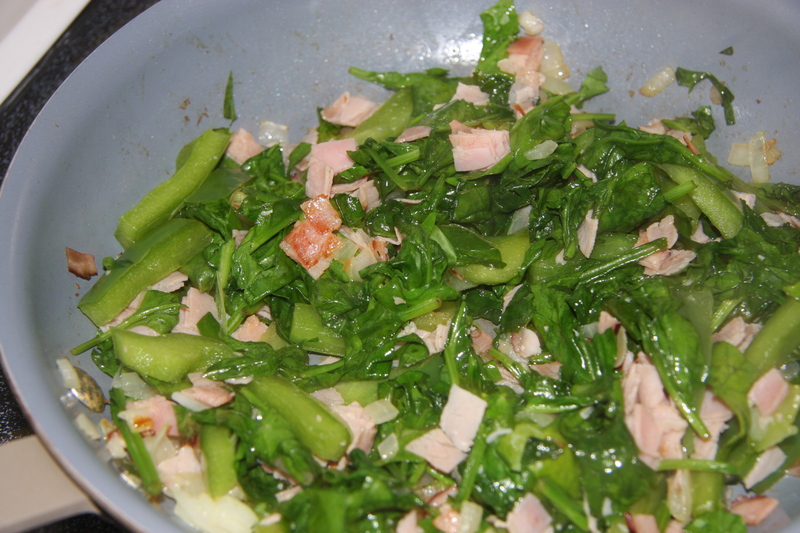 Beat eggs and milk, pour into the fry pan along with the veggies. Top with the cheeses. Cook on the stove top until the frittata starts to cook part way through. You will be able to see this happening. Then place into the oven and bake until it is firm. About 20 minutes. Cool for 5 minutes then invert onto a plate. Serve with a salad and you have a lovely meal.